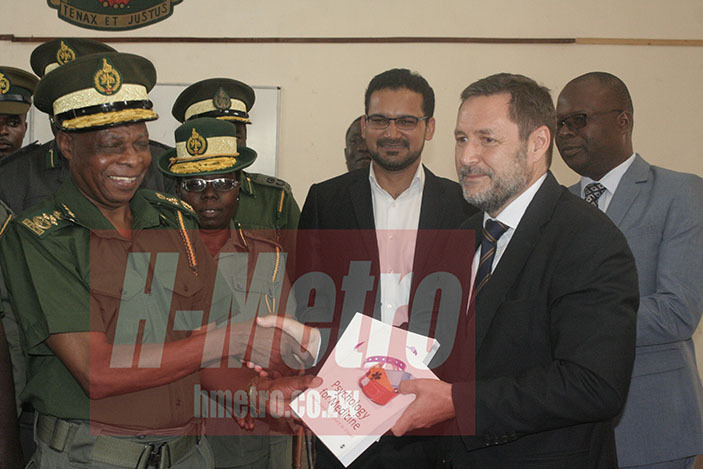 The British Council yesterday donated 1 807 textbooks to inmates at Harare Central Prison. The Country Director of the British Council, Roland Davies, said it is their wish to get inmates educated so that they can be employed when they are released. “We are very pleased that we are participating in this event. The whole point is to support Zimbabwe Prisons Correctional Services (ZPCS) with the education program. “We have donated 1 807 books primary, secondary as well as tertiary level and some novels too. “Our belief is that everyone should have access to education irrespective of their situation and that includes prisoners. “We want to give them an opportunity to learn and develop so that by the time of their release they can go into employment,” said Davies. Davies said that they have partnered with Book Aid in supporting different organisations in Zimbabwe. “We are not doing this initiative in Zimbabwe but in other countries. I would like to extend my gratitude to the Business Leadership School who have been helping us with funding,” he added. In a speech read by the Deputy Commissioner General Alfred Mashango Dube, he expressed his gratitude to the British Council for helping them with textbooks. “It is in great honour that I stand before you in accepting and appreciating the generous donation of books courtesy of the British Council. “Certainly this donation of books will go a long way in meeting the demands of the New Primary and Secondary Curriculum in thrust to enhance quality education. “Today’s donation has come at an opportune time when the Second Republic is saying that it is no longer business as usual given that the mantra is to drive our economy to become an Upper Middle Class Economy by year 2010. 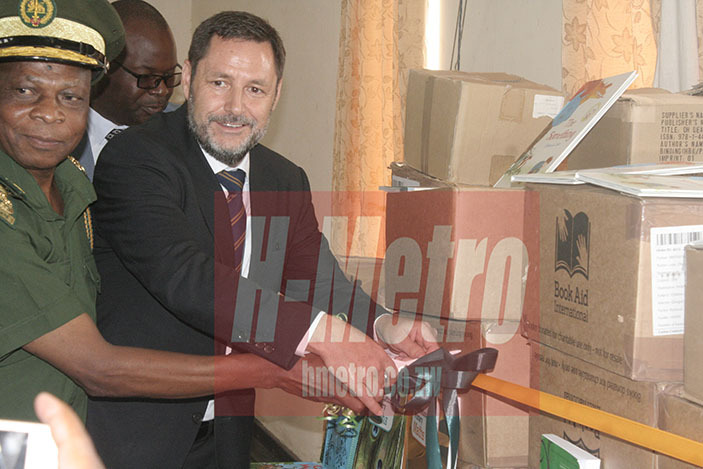 Dube thanked the British Council for donating an assortment of books to the ZPCS thus 459 novels, 279 primary school, 621 secondary school and 448 tertiary education books. Speaking on the sidelines of the event, Chief Superintended Kudakwashe Zvidzaye who happens to be the Chief Staff Officer for Education said that they were very delighted with the beautiful gift they have received. “This is a milestone in the history of ZPCS the education sector. It is a second of its kind for we once received a donation from UNICEF hence the coming in on board of British Council will go a long way in enhancing the quality of education in inmates’ even officers and their dependents too,” said Zvidzaye. He said that the books will be distributed throughout the ten provinces which include Nkayi, Mutare, Chipinge, Beitbridge, Tsholotsho etc. There are 1 600 inmates who are in school at Harare Central Prison.